There’s no denying that the seasons can powerfully affect our moods, and drab décor and dim lighting may sharply accentuate the gloom of the winter months. 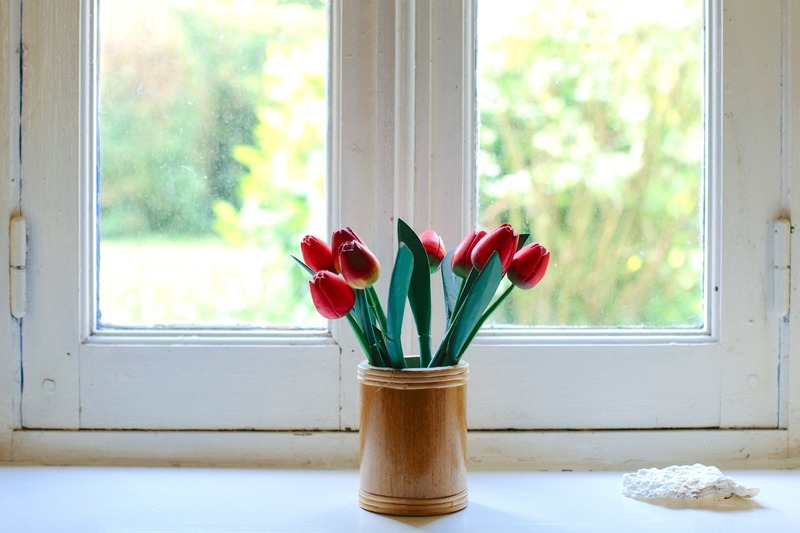 But nearly everyone feels an upsurge in well-being and energy during the summer months, making this the ideal season to brighten up your apartment. And a few simple changes made now will help carry the joy of summer into the fall and beyond. Spring and summer are the seasons of mood-lifting light, and you will want to make the most of it even when you’re indoors. Whites, creams and pastel-colored walls create the most internal light, but if you’re more adventurous you can also decorate with sunny yellows and golds. Enhance the feeling of light and space in your apartment by using large mirrors on the walls. Get rid of dark-colored floor coverings, at least temporarily, and use bright-colored rugs and mats instead. Similarly, colored throws can also brighten up dark furniture and fittings. There’s nothing better than the look and fragrance of fresh-cut flowers for bringing a real touch of summer to the indoors. Locally grown seasonal blooms should be relatively inexpensive, and with a little care can last for a surprising time. Suitable indoor plants also look great, will last longer and can be a real source of joy in the months to come. You don’t need to be a deep-pocketed connoisseur to make use of art in your apartment. Quality framed prints can be surprisingly inexpensive, and just a couple of beach scenes, seascapes or views of the Mediterranean or tropical gardens will bring a wonderful blaze of summer color and atmosphere to your home. The Arizona sun is glorious, but many residents of the Woodlands Village apartments in Flagstaff have found that if ever the heat gets a bit too much, they can always bring the summer indoors with these simple tips. Contact us today to schedule a viewing or for details of our available floor plans.